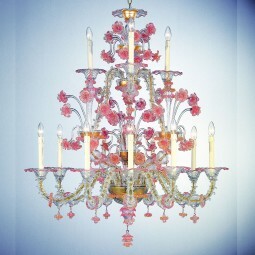 "Beatrice" Murano chandelier, hand made by authentic Masters glassblowers from Murano.Made on demand. The dimensions and the colors can be customised to individual specifications.Worldwide shipping and total insurance coverage. 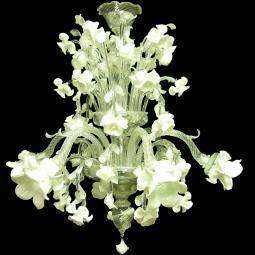 "Bianca Iris" Murano ceiling light, hand made by authentic Masters glassblowers from Murano.Made on demand. The dimensions and the colors can be customised to individual specifications.Worldwide shipping and total insurance coverage. 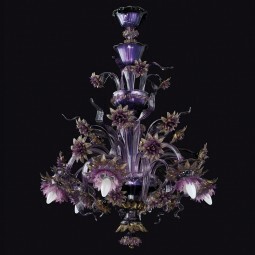 "Biancaspina" Murano chandelier, hand made by authentic Masters glassblowers from Murano.Made on demand. The dimensions and the colors can be customised to individual specifications.Worldwide shipping and total insurance coverage. 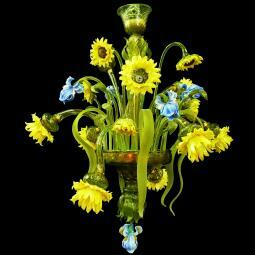 "Boccioli" Murano chandelier, hand made by authentic Masters glassblowers from Murano.Made on demand. The dimensions and the colors can be customised to individual specifications.Worldwide shipping and total insurance coverage. 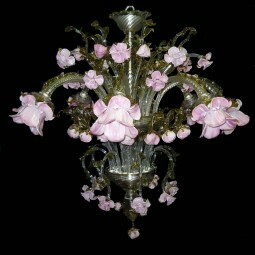 "Bouquet" Murano chandelier, hand made by authentic Masters glassblowers from Murano.Made on demand. The dimensions and the colors can be customised to individual specifications.Worldwide shipping and total insurance coverage. 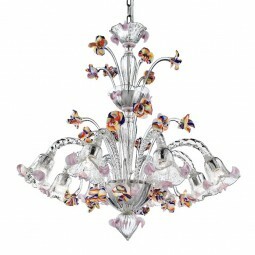 "Brina" Murano chandelier, hand made by authentic Masters glassblowers from Murano.Made on demand. The dimensions and the colors can be customised to individual specifications.Vacuum-packing, worldwide shipping and total insurance coverage. 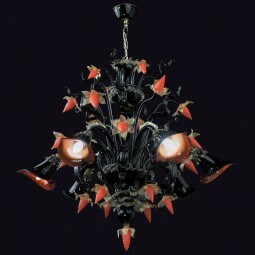 "Bucaneve" Murano chandelier, hand made by authentic Masters glassblowers from Murano.Made on demand. The dimensions and the colors can be customised to individual specifications.Worldwide shipping and total insurance coverage. 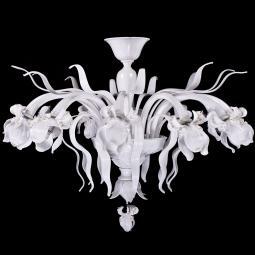 "Calle Bianche" Murano chandelier, hand made by authentic Masters glassblowers from Murano.Made on demand. The dimensions and the colors can be customised to individual specifications.Worldwide shipping and total insurance coverage. 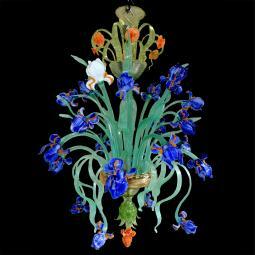 "Campo di Iris" Murano chandelier, hand made by authentic Masters glassblowers from Murano.Made on demand. The dimensions and the colors can be customised to individual specifications.Worldwide shipping and total insurance coverage. 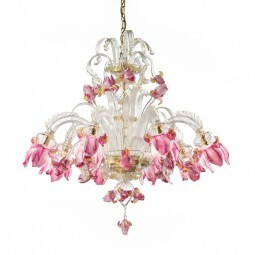 "Capriccio" Murano chandelier, hand made by authentic Masters glassblowers from Murano.Made on demand. The dimensions and the colors can be customised to individual specifications.Worldwide shipping and total insurance coverage. 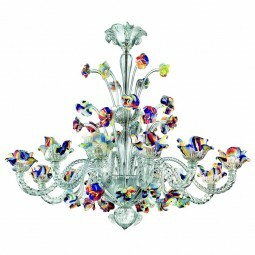 Carnevale Murano glass chandelier, hand made by authentic Masters glassblowers from Murano.Made on demand. The dimensions and the colors can be customised to individual specifications.Vacuum-packing, worldwide shipping and total insurance coverage. 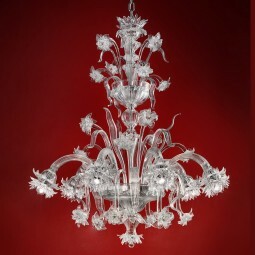 "Cersei" Murano chandelier, hand made by authentic Masters glassblowers from Murano.Made on demand. The dimensions and the colors can be customised to individual specifications.Worldwide shipping and total insurance coverage. 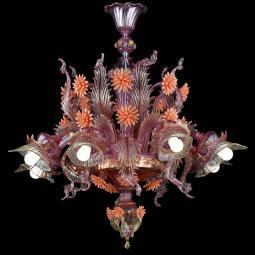 "Cloris" Murano glass chandelier, hand made by authentic Masters glassblowers from Murano.Made on demand. The dimensions and the colors can be customised to individual specifications.Vacuum-packing, worldwide shipping and total insurance coverage. 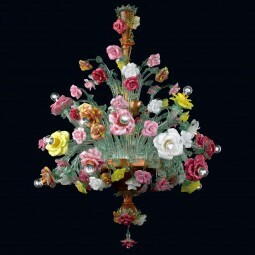 Cristallo Murano chandelier, hand made by authentic Masters glassblowers from Murano.Made on demand. The dimensions and the colors can be customised to individual specifications.Vacuum-packing, worldwide shipping and total insurance coverage. 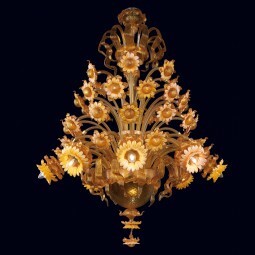 "Daisy" Murano chandelier, hand made by authentic Masters glassblowers from Murano.Made on demand. The dimensions and the colors can be customised to individual specifications.Worldwide shipping and total insurance coverage. Wooden crate packing included in price. 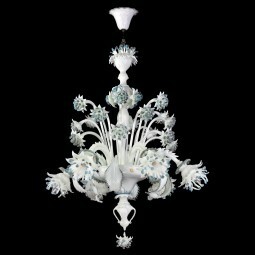 Delicato Murano chandelier, hand made by authentic Masters glassblowers from Murano.Made on demand. The dimensions and the colors can be customised to individual specifications.Vacuum-packing, worldwide shipping and total insurance coverage. Wooden crate packing included in price. 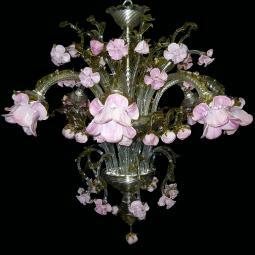 "Delizia" pink flowers Murano glass chandelier, hand made by authentic Masters glassblowers from Murano.Made on demand. The dimensions and the colors can be customised to individual specifications.Vacuum-packing, worldwide shipping and total insurance coverage. 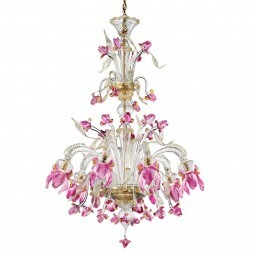 "Delizia" pink flowers tall Murano glass chandelier, hand made by authentic Masters glassblowers from Murano.Made on demand. The dimensions and the colors can be customised to individual specifications.Vacuum-packing, worldwide shipping and total insurance coverage. Wooden crate packing included in price. 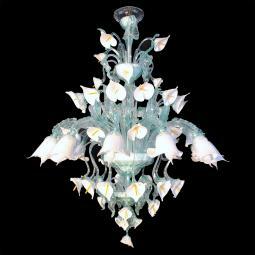 "Elsa" Murano chandelier, hand made by authentic Masters glassblowers from Murano.Made on demand. The dimensions and the colors can be customised to individual specifications.Worldwide shipping and total insurance coverage. 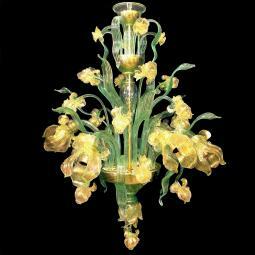 "Fiordilatte" Murano chandelier, hand made by authentic Masters glassblowers from Murano.Made on demand. The dimensions and the colors can be customised to individual specifications.Worldwide shipping and total insurance coverage. 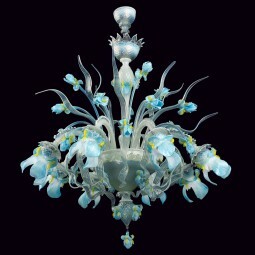 "Fiore d'acqua" Murano chandelier, hand made by authentic Masters glassblowers from Murano.Made on demand. The dimensions and the colors can be customised to individual specifications.Worldwide shipping and total insurance coverage.